Car manufacturers demand tyres that not only demonstrate top performance but are also quiet, helping to increase car comfort. 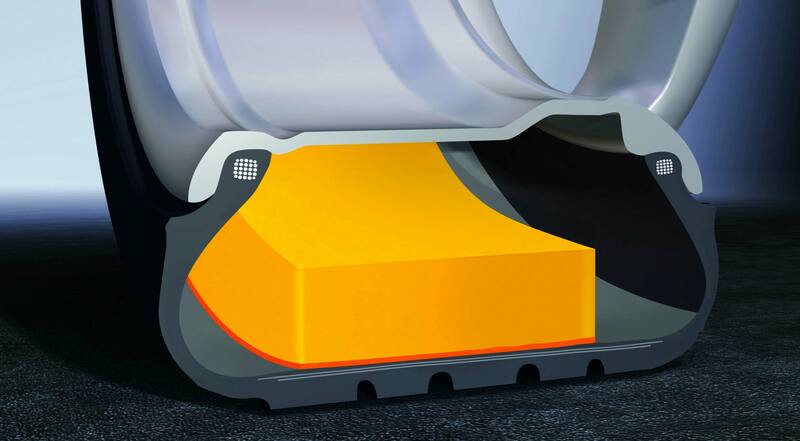 Continental has introduced ContiSilent, a new technology that substantially reduces tyre noise inside the cabin by up to 9 dB. The secret of ContiSilent is a coating that is bonded to the inside of the tread area after the tyre production process. This special layer of foam has a strong damping effect on the sound waves caused by the rolling tyre, so that no matter what surface the vehicle is driving on, the noise level reaching the cabin is substantially reduced. All ContiSilent tyre components and the tread pattern are adopted from standard production tyres, with performance characteristics such as braking, handling or wet performance seeing no alteration. ContiSilent tyres are compatible with standard rims and fitting process. Audi is the first car manufacturer to fit its RS 6 Avant and RS 7 Sportback models with ContiSilent tyres from the ContiSportContact 5 P. The Audi RS 6 Avant will be equipped with size 285/30 ZR 21 tyres while the RS 7 Sportback will feature size 275/30 ZR 21. The flagship Audi A8 will also be equipped with ContiSilent tyres from the ContiSportContact 5 range. Like all other tyres for the Audi RS models, the ContiSilent versions will bear the additional RO1 mark on the sidewall.